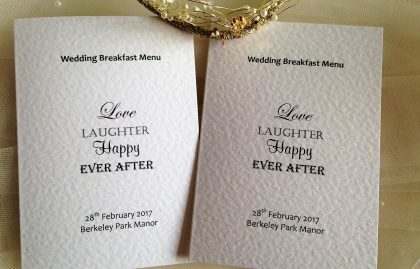 Elegant and fun loving! 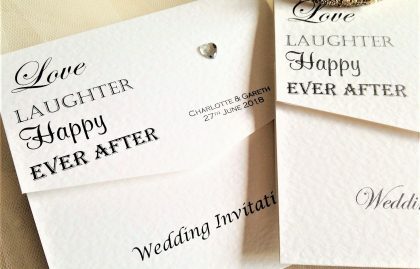 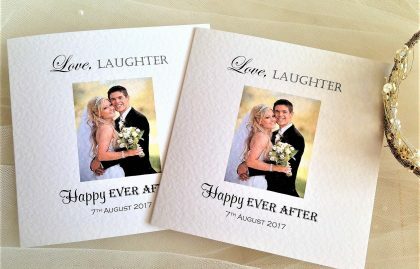 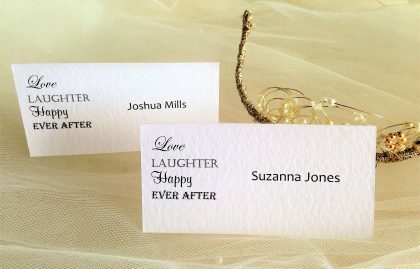 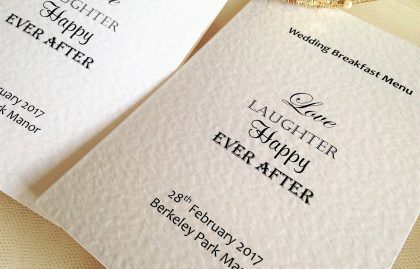 Our Love Laughter Happy Ever After Wedding Stationery range features an attractive, eye catching design which is right on trend. 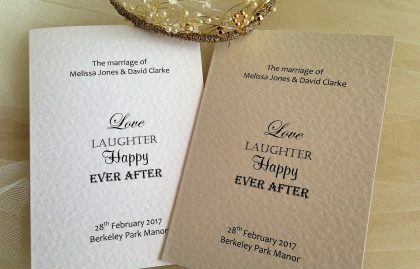 For a more rustic look we can also supply all items of stationery in this range on the vintage brown kraft card. 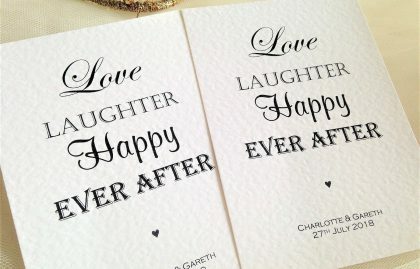 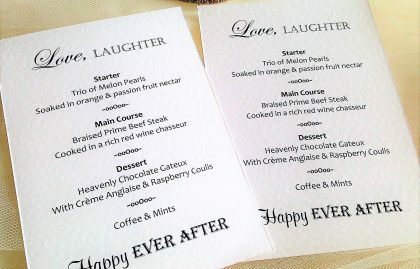 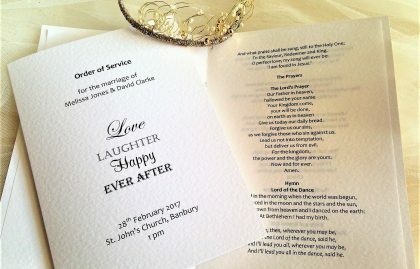 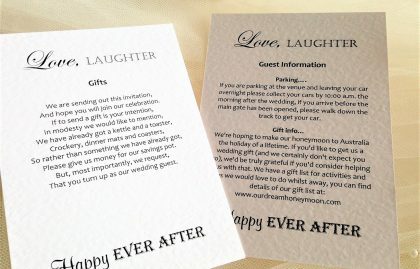 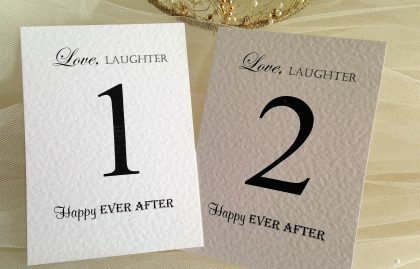 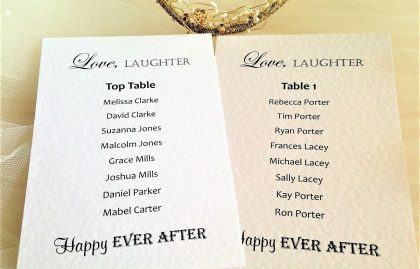 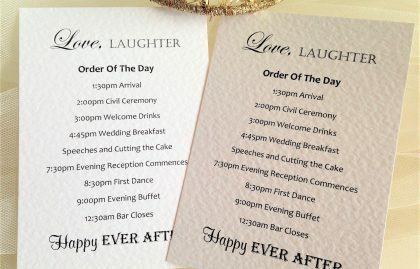 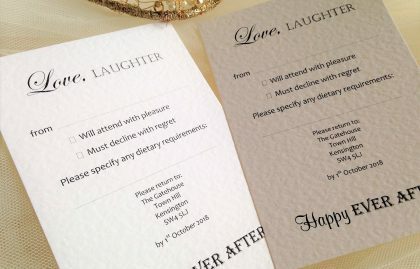 Our full range of wedding stationery items in the Love Laughter Happy Ever After design includes everything from wedding invitations, evening invitations, RSVP cards, guest information cards, place cards, table plan cards, menus, table numbers, order of day cards, order of service books and thank you cards.